Ballroom Church Street, Samantha and Anthony - A Chair Affair, Inc.
Samantha and Anthony declared their love to the world with an elegant wedding at The Ballroom at Church Street. Misty Miotto Photography captured every moment and detail beautifully, especially the newlyweds. The wedding party’s bridesmaids dresses struck a personal note with us. We love the soft lace tulle sweeping across the bust line and shoulder. We are also a fan of the color gold! Samantha dazzled in her dress and makeup by LeJeune Artistry while Anthony cut an equally impressive figure at her side. 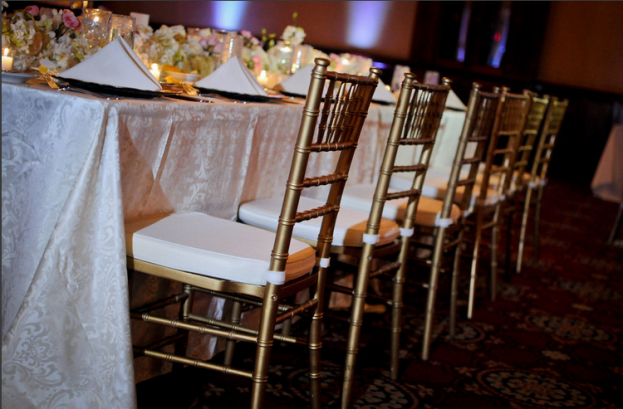 From start to finish, the event was as exquisite as the couple, including the floral arrangements and centerpieces by Fiora’s Design and our very own chiavari chairs! 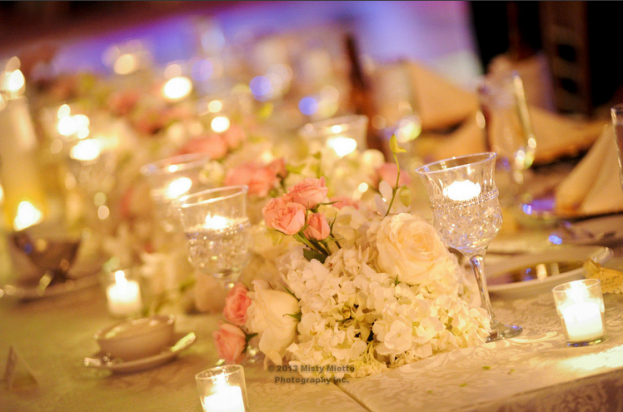 Candlelight, pink and white roses along with white hydragenas filled each table. They made for simple yet stunning table top decor. 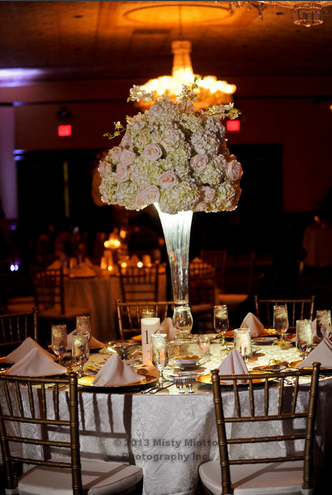 On alternating tables, breathtaking clear tall floral vessels held large bouquets of similar flowers. 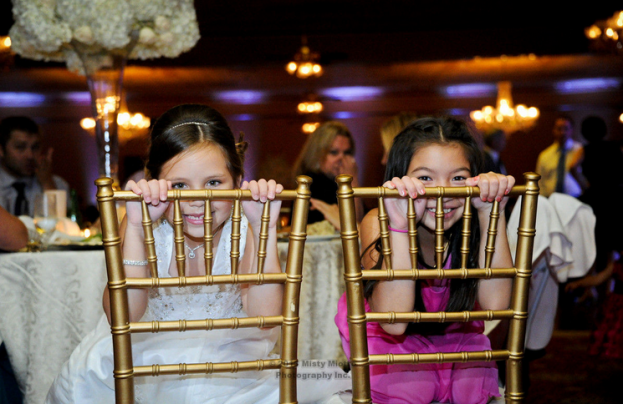 The younger guests at the wedding made for beautiful models against our gold chiavari chairs.